– Project of the Euro 2012 he belongs to Poland and Ukraine already and there is no such strength which would be able to take him away from us. We are expecting the UEFA report which will be published with optimism 27 of June in Vienna – a vice-president notified the of the Seym Commission of the physical culture and the Ireneusz Raś (after) during the Wednesday appointment with journalists. – Moves of other people of states, like in the last time of France or Italy they will take the organization of the tournament away from us they are distasteful and they are supporting us only for still of bigger work – a member of Parliament added after. Members of Parliament, the sub-commission which is taking the Euro up are assuring 2012 is operating resiliently. – It is to the turn of the year still planned above twenty of meetings, in it of other July in Warsaw, and third on Ukraine with the UEFA President Michel Platini. Also an conversation will take place PL-2012 with the chairman of the company with Marcin Herrą whom an accounting for report is supposed to introduce this year’s my in Austria and Switzerland. We want to know how it went there what profits which were are what risks, what bad was happening – a member of Parliament told Biernat Andrzej (after). 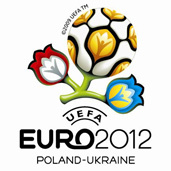 Raś he added, that “we will visit all towns which are supposed to organize the event of the Euro within three months 2012. Every town will get all strong and weak pages for the special report which, they will be taken into consideration in from us in preparations. There will be no reduced tariff and all will be attacked much”. They will be monitored besides all fields about the biggest risk factor, before everything these referring infrastructures. – We will be in the constant contact among other things with the minister of health, justice, the culture, the infrastructure, or with other services which are taking each areas up – told Biernat. Ukraine is able to count on support of Poland. – We are realizing how she is important it is an event for the whole of country and for our neighbours. They are able in every matter to rely on us but we are able thanks to cooperation to achieve a success – underlined Raś. The vice-president of the of the Seym Commission of the physical culture and the Sport is assuring that he will want on the appointment with Platini to obtain the unambiguous concerning position of the organization of the Euro from him 2012 in Poland and on Ukraine. – The UEFA President is very often quoted by various media, we want him to tell us personally and clearly what his relation to the organization is by us of tournament – notified Raś. This translation is terrible and the one translating should be ashamed… please find someone else!